You do love your iPhone and you usually take good care of it. However, things do go wrong and you may end up breaking the iPhone’s screen by mistake. The data in your iPhone is too precious to lose which can easily happen when your iPhone’s screen is broken. A major question that many iPhone owners ask themselves is what they should do immediately they find out that their iPhone has a broken screen. So, what should you do? Tip 2: Can You Transfer Data from iPhone with Completely Broken Screen? When having an iPhone with a broken screen, the first thing you need to do is transferring data from it. If you are thinking of fixing the broken screen by replacing it with a new one, you may end up losing the data in it during the process. This is why you should transfer your important data first just to keep it safe. 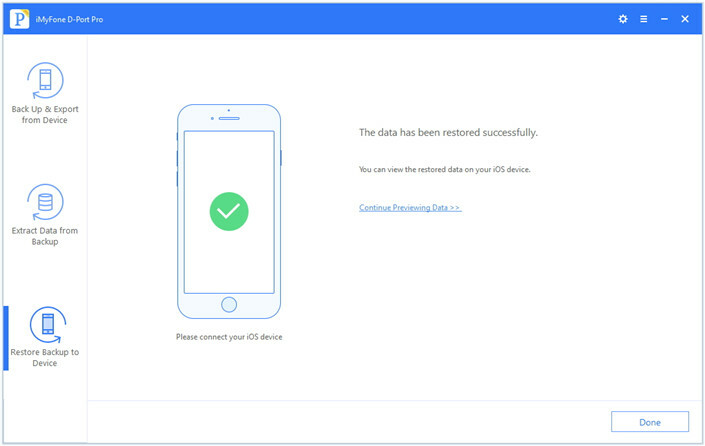 After the fixing process succeeds, you will just need to restore the data to your iPhone. You can also transfer the data to a new iPhone. One question you may have in your mind is can iPhone broken screen transfer photos if your iPhone screen is broken ? The simple answer to this question is No. If your iPhone screen is completely broken, you can’t access your device. 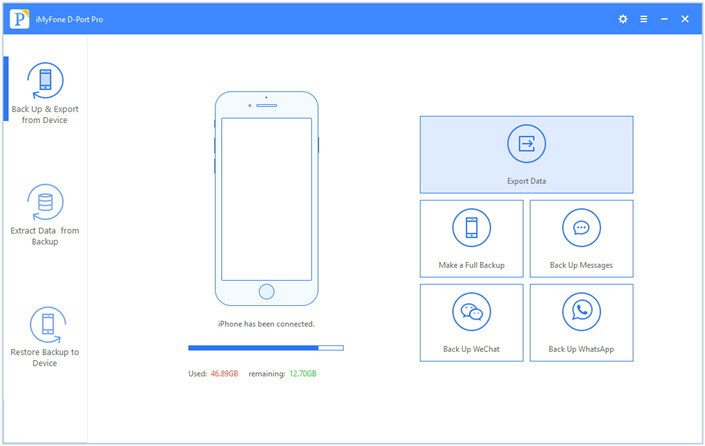 Creating and restoring backups requires tapping on the “Trust” button. Since you cannot tap the trust button on an iPhone with broken screen, you can’t create a backup for it. If you can’t bypass the “Trust This Computer” phase, you don’t have a way to access your iPhone. The only solutions available include having your broken screen repaired, replaced or you can opt to purchase a new iPhone. All these solutions are very expensive to implement. As we had mentioned earlier on, if repairing or replacing your iPhone screen is not an option for you, you need to know how you can transfer data to keep it safe. Your ability to access your personal data in the iPhone is hindered by the broken screen. In such a situation, the only thing you can do to save your data is to get it off the broken iPhone. This is so that you can prevent it from getting lost. 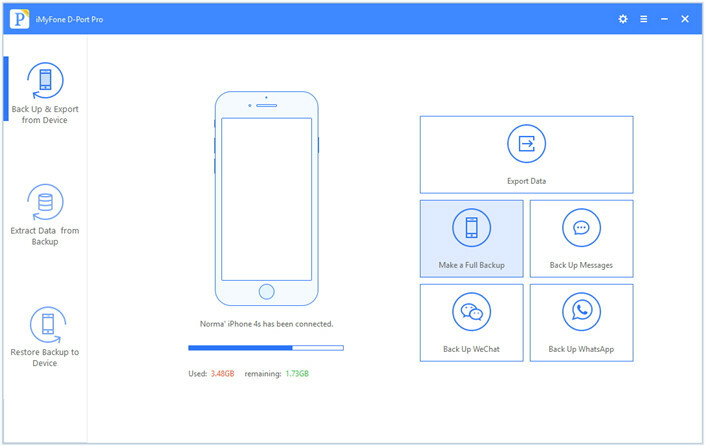 If you had created a backup for your iPhone recently before the screen was broken, you can use iMyFone D-Port Pro to export the data from your iCloud or iTunes backup. When you are using either iCloud or iTunes to back up your data, both your existing data and the deleted data that has not been overwritten can be backed up. Unfortunately, if you are using the standard backup restoration methods provided by both iTunes and iCloud, you will not have the ability to view the data inside. 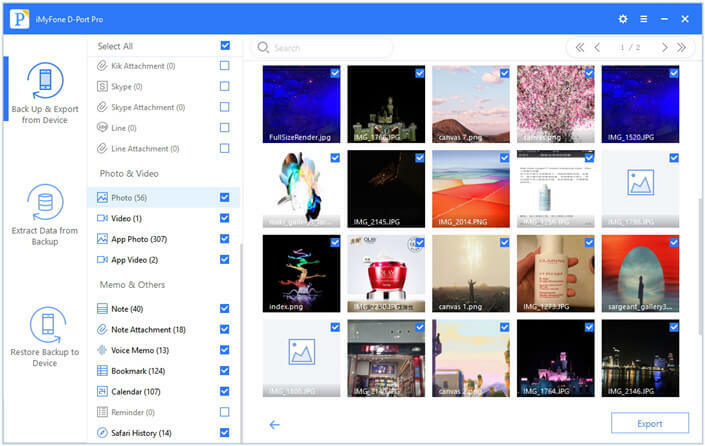 This is why you need to use a third-party tool such as iMyFone D-Port Pro to preview the content presenting in your backup. iMyFone D-Port Pro is a third-party tool that can be used with all iOS devices. 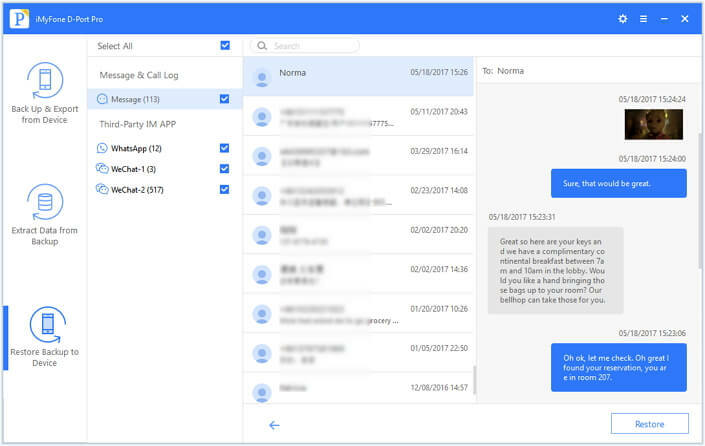 This tool allows you to back up and restore WhatsApp, WeChat, or Messages separately. 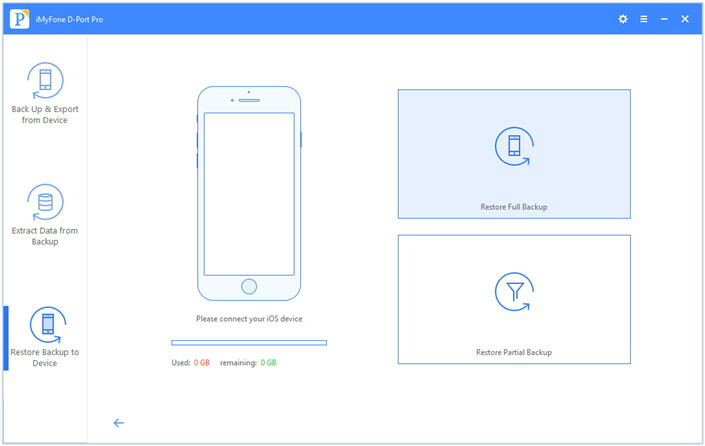 It gives you the ability to back up your iOS device without overwriting your older backups. 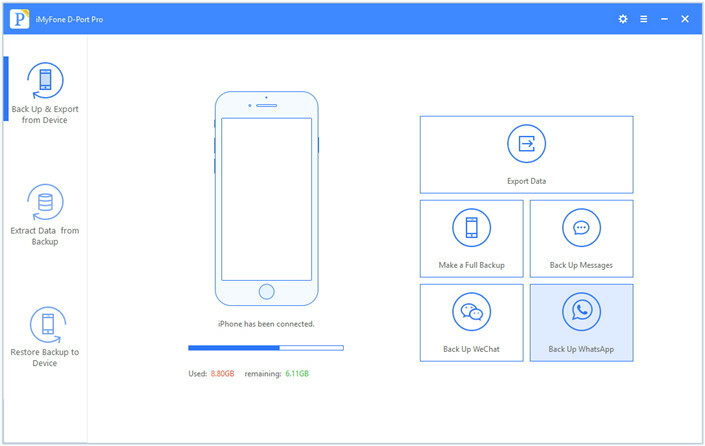 You can restore iCloud, iTunes, and iMyFone backups. 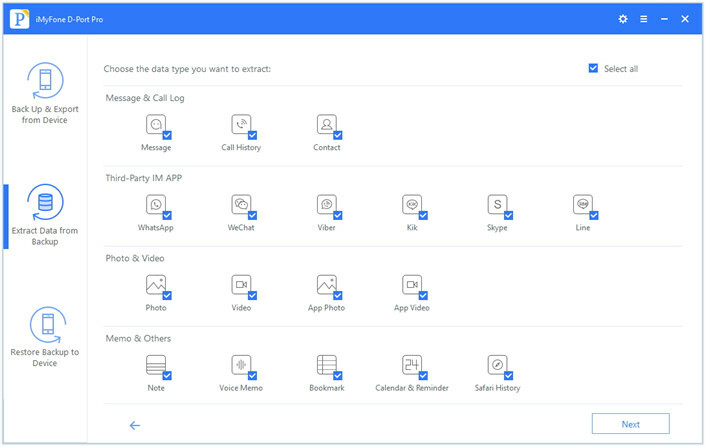 You also get to extract over 20 data types from both your backup files and iOS device. You don’t need to connect the broken iPhone to your computer when you transfer data from your iTunes and iCloud backup. Step 1: Launch iMyFone D-Port Pro and then from the left panel, click Extract Data from Backup. Choose the iTunes backup that contains the data you wish to export and then tap Next. If prompted for a password, enter it. Step 2: Select the file types you want to extract and wait for the program to complete scanning. Step 3: Choose the items you need from the ones displayed after the scanning. Click Extract to export the data you have chosen to your Mac or PC. Step 1: On the left panel, select the Extract Data from Backup and then tap Download iCloud Backup. 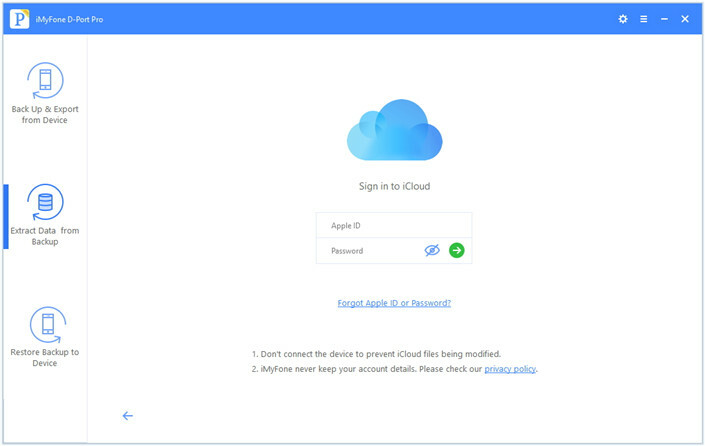 Log into your iCloud account. 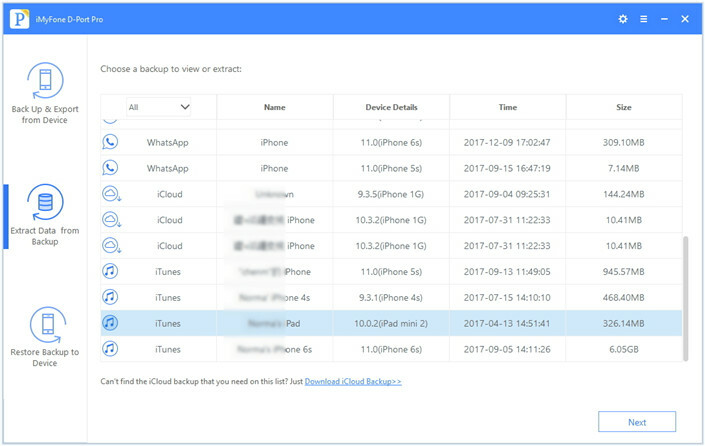 Step 2: From the backup files in your iCloud account, select the one that store the data you want. Click the Next button and then specify the data types you want iMyFone D-Port Pro to scan to reduce download time. Step 3: Preview and select the items you wish to export when iMyFone D-Port Pro finishes scanning your backup files. To save the data you select to your computer, click Extract. Step 1: On the left panel, Click Back Up & Export and then tap Export Data. 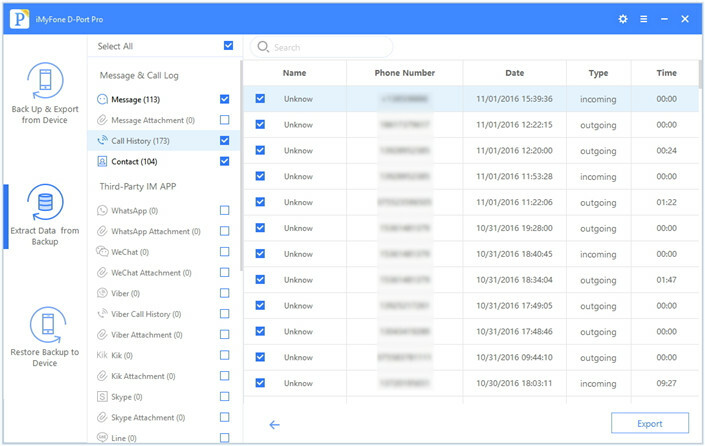 Step 2: Choose the data types to export and click Next for the program to scan your device. Step 3: Preview the data after scanning and select what to export. Click Export to transfer the selected files to your computer. 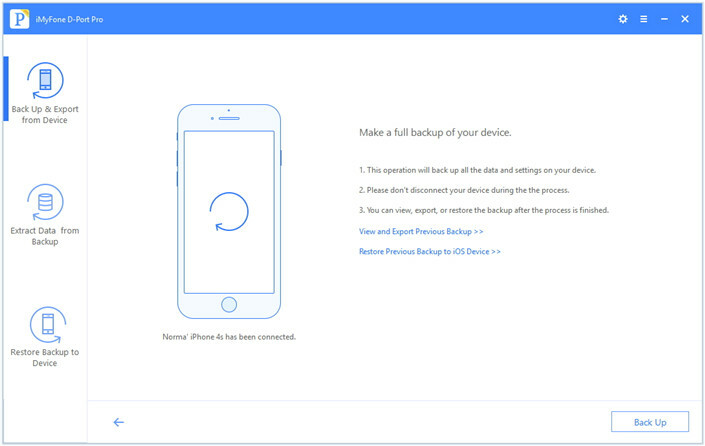 Step 1: On the left panel, click Back Up & Restore from Device and then tap Make a Full Backup. Step 2: Tap Back Up to initiate this process. Keep your device connected until you get a notification telling you the backup is complete. Step 1: From the left panel, select Back Up & Restore from Device and then tap Back Up WhatsApp. Step 2: Click Back Up to initiate the backup process. Keep the device connected to your computer until you get a notification indicating that the backup is complete. Step 1: From the left panel, select Restore Full Backup. If your new iPhone is not connected to your computer, you will be prompted to connect it. Follow the directions on the screen. Step 2: When your iPhone connects to the computer successfully, pay attention to what the program notifies you. To restore the full backup, click Next. This will overwrite settings and data on your new iPhone. Don't disconnect your device before the process is complete. Step 1: Connect your new iPhone and launch iMyFone D-Port Pro. Step 2: On the left panel, select Restore Partial Backup and then select one backup. Click Next. You will be prompted to select the data types to restore. Step 3: Click Next for the Program to scan the backup. 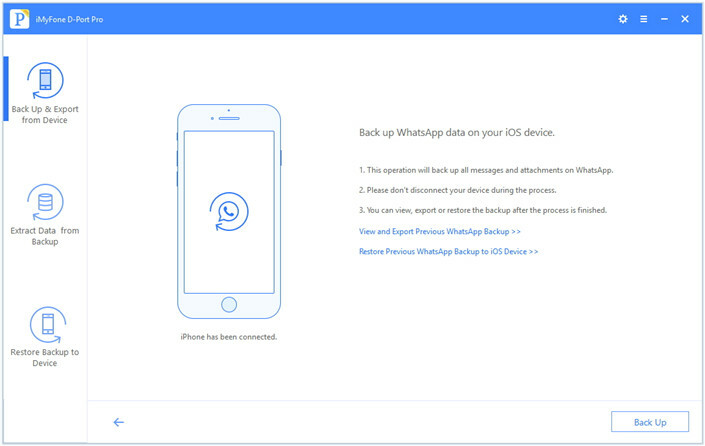 You can preview the WhatsApp, WeChat or messages backup. 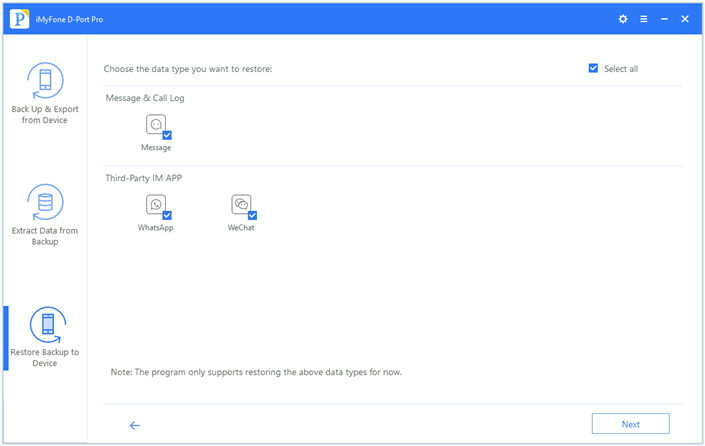 Step 4: Select data types and tap Restore. Keep the device connected. You will get a notification when the restore process is complete. If your have an iPhone with a broken screen and you are wondering how to transfer your data from the device, you should use iMyFone D-Port Pro. We love comments. Feel free to leave yours below.